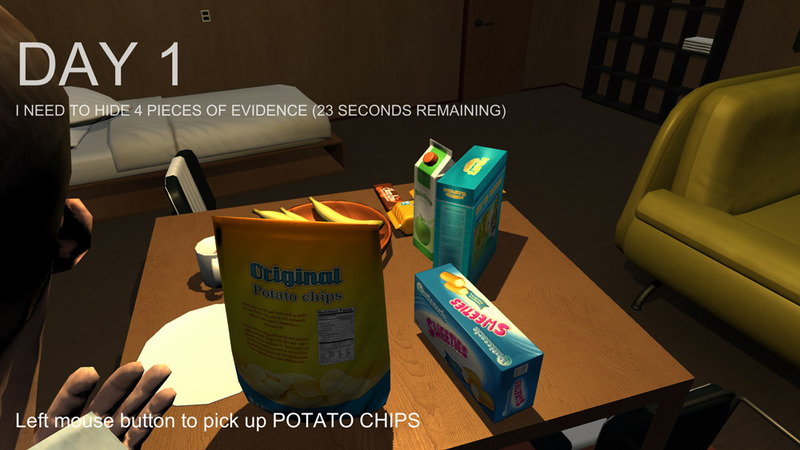 "Hide the evidence of your murderous activities before the police catch you!" Barry Has a Secret is a unique game made for a recent Game Jam where (unsurprisingly) you play as a man named Barry, but Barry has been up to no good! 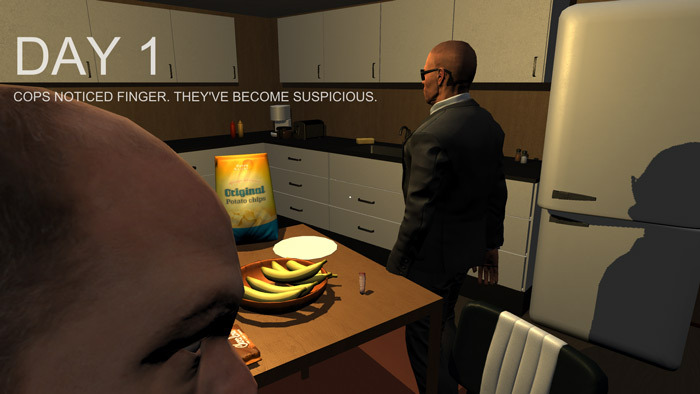 The game opens simply with you playing as Barry inside his apartment and not much information is given until you find some rather conspicuous weapons and more alarmingly some parts of a human body, and then the doorbell rings and the police are waiting and suddenly it all becomes clear that you must now hide any evidence that Barry has of his murderous deeds, and a timer appears on the screen counting down to when the cops will forcefully enter your apartment so you better start hiding those body parts very quickly! The game looks really good and for each day you manage to hide your secrets from the police but with each day you survive their investigation you will find the following day that you have more body parts to hide and you will need to get creative when you start hiding things and make sure you do not put them in a place that the police are likely to find them. 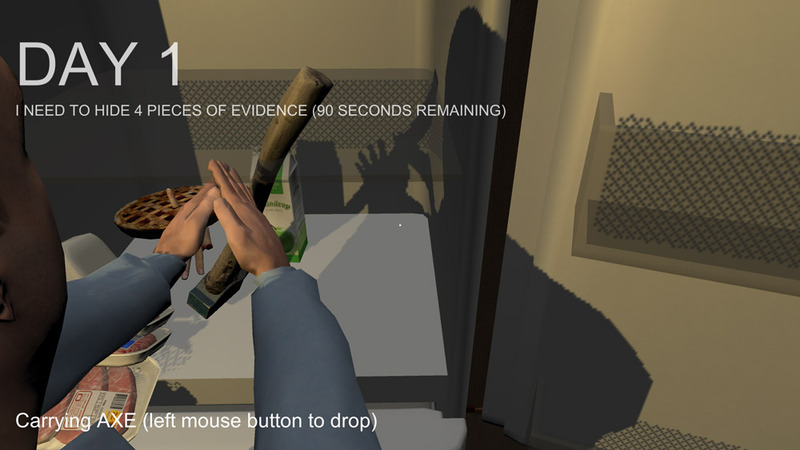 Barry Has a Secret is a really ingenious, tense and compelling game that you should not miss out on! You can download Barry Has a Secret here for free.